A generous donation was made by Stephanie Young and Darren Springer in memory of Dakota Young. We were stunned when we lost you so suddenly and did not have nearly enough time to spend with you. Seven years was far too short. A generous donation was made by Tara D’ Annunzio in memory of Max D’Annunzio. To our beloved “Maxie Pie”. We miss you every day. May you rest in peace. We will always love you. A generous donation was made by Leigh McMahon in memory of Wesley Mathilda Murphy. A generous donation was made to the CHAMP Fund by Leigh McMahon. A generous donation was made by Elexis Friedrich to honor Ellie’s 2nd birthday & Phoebe. Happy Birthday Ellie!! Phoebe is forever in our memory & you are a promise to our future. We love you very much! Elexis & Marc, Anais & Elsa Walter. A generous donation was made to the SUNI Fund by Joan Mullen. A generous donation was made by Dianne & Don McCormick in memory of Whisper Rapose. A generous donation was made by Ann Marie Reed in memory of Cali Myers. A generous donation was made by Debra Wright in memory of Earnest Terzian. A generous donation was made by Denise Elger in memory of Chase Mullen. A generous donation was made by Michael Culver in memory of Cruiser Culver. A generous donation was made by Dr. Julie Bartz & everyone at DC Ranch Animal Hospital in memory of Kaiser Powell. A generous donation was made by John Grup in honor of Terry Natwick’s birthday. Happy Birthday Terry! 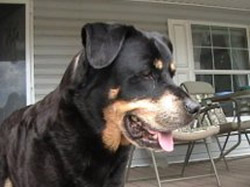 A generous donation was made by Linda Dragoo in memory of Xena Rohaus. A generous donation was made by Linda Dragoo in memory of Cap Rohaus. A generous donation was made by Melanie Del Villaggio to the SUNI Fund. A generous donation was made by Shannon McDonald in honor of our sweet girl, Kody McDonald. A generous donation was made by Sunne Wiginton in memory of Fritz Mulyono. 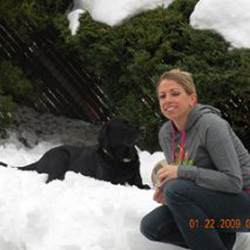 A generous donation was made by Jennifer Muller in memory of Bear Iden. 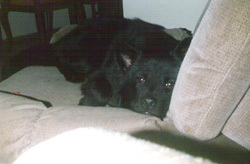 We lost our Bear to lymphosarcoma on October 23rd, 2010. He brought so much joy to our lives. Through our tears, we can smile knowing he is now running free with our other loved ones who were lost before. We will always love & miss you Bear. A generous donation was made by Christy Hiles in memory of Willie Klein. A generous donation was made by Judi Beckett in memory of Cashew Aguilar. A generous donation was made by the employees of Cooper & Scully, P.C., in memory of Elaine Dortch, the mother of Timothy Micah Dortch. A generous donation was made by Geraldine & Malcolm McKillop in memory of Gita Hanna McKillop who passed away from hemangiosarcoma of the liver on December 27th, 2007. A generous donation was made by Andrea Hames in memory of Deke McIlvaine. 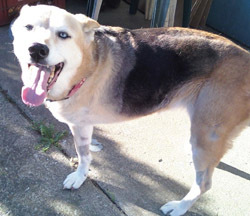 A generous donation was made by Suzanne & Steve White in memory of Rowdy Shiebley. A generous donation was made by Nicole Zafiroglu in memory of Petie Zafiroglu. Thanks to our friend Sally Thayer we are able to make this donation in memory of our sweet boy Petie whose short life was taken by t-cell lymphoma on August 22nd, 2010. We miss him every moment and will carry his spirit with us forever. A generous donation was made by Russell Greenfield in memory of Eddie Lipman. A generous donation was made by Charles & Kelli Riedl in memory of Rossi Rice. A generous donation was made by Diane Herbst in memory of Rudi Herbst. A generous donation was made by Peter Mosel in memory of Prancer Mosel. A generous donation was made by Angela White in memory of Eve Dawson. A generous donation was made by Janet ONeil in memory of our forever angel “Mulligan” gone, but not forgotten. 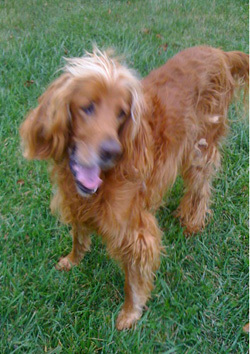 A generous donation was made by Carrie Deaton in memory of Bongo Golden. A generous donation was made by Rebekah Pless in memory of Docker Owens. A generous donation was made by Nancy Schwab in memory of Chloe Marie Crick. A generous donation was made by Caren Lee in memory of Cody Decardenas. A generous donation was made by Betsey Freedman in memory of Rookie Simone. A generous donation was made by Lauren Tochner in memory of Lucy Weinhausen. A generous donation was made by Julie Chappel in honor of Terry Natwick’s birthday. Happy Birthday Terry! A generous donation was made by Courtney Keys in memory of Barley Weir. 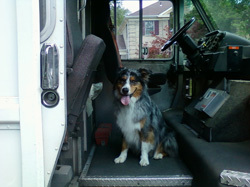 A generous donation was made by Rocco & Denise Cantore in memory of Murphy Remmer. A generous donation was made by Catherine Henigan in memory of Elaine Hart Dortch. 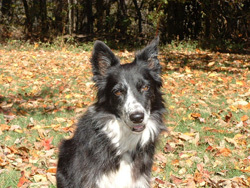 A generous donation was made by Suzanne White in memory of Beezer Rodgers, a Border Collie. Here’s to tennis balls that don’t pop, always getting the biggest stick, and clearing that contact in a spectacular leap. We’ll miss him. A generous donation was made by Paulette Lerman in memory of Mikey Krestel. A generous donation was made by MaryJean DePalma in memory of King Baehler. A generous donation was made by Andy & Kiki Markovits in memory of Mikey Krestel. A generous donation was made by Samantha Ginsburg in memory of King Baehler. A generous donation was made by Julie Gray in memory of a Beloved Friend of SC & Family. Sweet Angel, you were clearly loved very deeply by this family. May your beautiful soul rest in peace. A generous donation was made by Melanie Schoppe in honor of Far Country Animal Hospital. A generous donation was made by Sarah Ashmore-Happel in memory of NT Ashmore. RIP NT Ashmore you will be forever in our hearts! A generous donation was made by Fred Shuchart in memory of Elaine Hart Dortch. A generous donation was made by the Internal Medicine Department at First Regional Animal Hospital in loving memory of Makki Day. 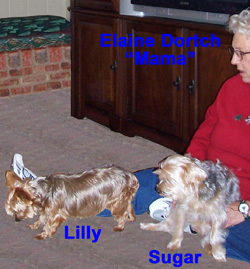 A generous donation was made by Duane & Cerry Sloan on behalf of Sugar & Lily (four legged girls) in memory of their two legged Mama, Elaine Dortch. The girls loved “Mama” & “Mama” loved them. A generous donation was made by Michael Goyette in memory of Garrett Goyette. A generous donation was made by Salvatore Trabona & the Trabona family in memory of Gus James. A generous donation was made by Lana Gusoff in memory of Butch Missaggia. A generous donation was made by Sheri Kaelin in memory of Cayman Kaelin. 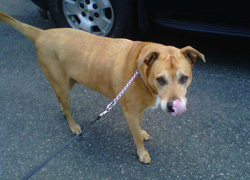 Cayman was a sweet loving girl who was all heart. She loved the beach, cool fall mornings and fruit. She is missed terribly and has left her paw print on our hearts. We love you Cay Baby! A generous donation was made by Maryann Fuhrmann in memory of Dakota Langella. A generous donation was made by Tiffanie Riley in honor of Smokey. A generous donation was made by Nadyne Finn in memory of Sage. Sage we miss you and love you! I can’t believe it has been 3 years since you had to leave us on October 2, 2007. We think about you every day, love mommy and angel. You’re in our hearts forever…. 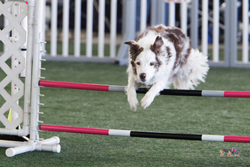 A generous donation was made by the Contact Zonies Agility Club in the name of the many dogs that the Arizona agility community has lost to cancer. 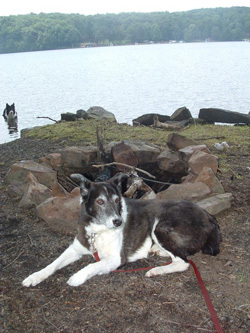 A generous donation was made by the Minnesota Mixed Breed Club in honor and memory of the many dogs that the Minnesota agility community has lost to cancer. A generous donation was made by Michael & Beth Babos in memory of S.A.M. (Secret Agent Man) & Autumn Marie Allison. A generous donation was made by the staff at First Regional Animal Hospital in loving memory of Addie Dorward, a very sweet girl and a fighter. A generous donation was made by Evelynn Finn in memory of our beloved Sage, who passed away 3 years ago, October 2nd, 2007. We miss you and will always love you. A generous donation was made by Aimee Syverson in memory of Jack Skidds. A generous donation was made by Lee Sellman in memory of Merlin Sellman. Merlin, we will see you at The Bridge. We miss you. A generous donation was made by David Linkous and the Linkous family in memory of Sam Akers. A generous donation was made by Lisa Adams in memory of Zebo Hildman. A generous donation was made by Leona Dennis in memory of Pris Pride. A generous donation was made by Julie Giles in memory of Pris Pride. A generous donation was made by Mercedes DeGeorge in memory of Tellico McBride. A generous donation was made by Margaret Mexquitic in memory of Yogi Nelson. A generous donation was made by Barbara Fitz & the Fitz family in memory of Jack Pasternack. A generous donation was made by Margaret Street in memory of Vito Cohlmia. A generous donation was made by Robert & Cheryl Rosenbaum in memory of Maddie Drubner. A generous donation was made by Mary Wallace in memory of Jake Schulte. A generous donation was made by Valerie Bejerano in loving memory of her brave, yet gentle warrior, Queeny, who fought her battle with cancer. 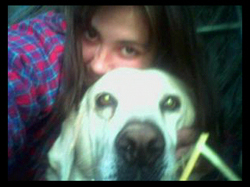 Your memory and your spirit will always be alive in my heart & soul. Mamma loves you. A generous donation was made by Precia Barrett and the Barrett family in memory of Duchess Kyte. A generous donation was made by Monique Apter in memory of Vannah Karas. A generous donation was made by Janey Parker in memory of Cleopatra Parker. A generous donation was made by Darlene Paul in memory of Promise Miller. 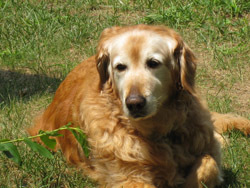 A generous donation was made by Janice Hoover in memory of our beautiful Golden Retriever, Misty, who died of hemangiosarcoma April 16th, she was only 9 years old. We miss her terribly. 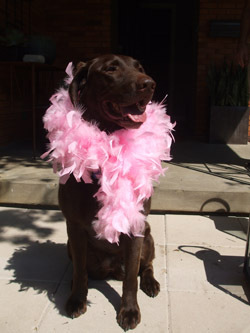 A generous donation was made by Ava, Charlie, & Sweetie in memory of Coco Shannon. A generous donation was made by Ava, Charlie, & Sweetie in memory of Midnight Messick. A generous donation was made by Theresa & Charlie Harrison in memoryof Midnight Messick. 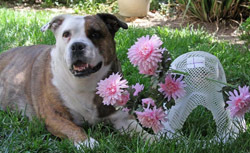 A generous donation was made by Phyllis Dobrick & Tailwaggers in memory of Fleur-“Mitral’s Fleur de Lis”. A generous donation was made by Evelyn Finn in memory of Sage Finn. A generous donation was made by Brandy Skinner in memory of Grace Brasher. A generous donation was made to the Champ Fund by Gary Stelter. A generous donation was made by Peter Frankl in loving memory of Maddie Siegel. 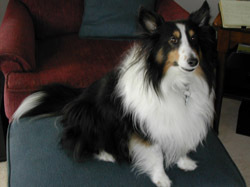 A generous donation was made by Jill Cashdollar in memory of Lucky Maruca and in honor of Mother’s Day for Jane Maruca. A generous donation was made by Lynn Nelson in memory of Ch. MACH3 Carrick in the Nick of Time, RA, OF (Nikki). A generous donation was made by Ann Compton in memory of Trevor Eden. A generous donation was made by Sara Navarria in memory of Fiona. A generous donation was made by Hansel Pham in memory of Tucker Warncke. A generous donation was made by Barbara Van Raden & Dawn Van Dyck in memory of Emma & Roxy. A generous donation was made by Connie & Steve Foxe in loving memory of Missy Dack. A generous donation was made by Karen & Bill Whyman in memory of Teddie & Kirby. A generous donation was made by Maureen & Mike Berger in memory of Buddy Berger. 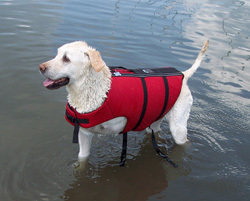 A generous donation was made by Rebecca & Thomas Lamalfa Lents in memory of Porter. A generous donation was made by Kevin Haggerty in memory of Kodiak & Cassidy Boyd. A generous donation was made by Gail Banta in memory of Belle Desmond. A generous donation was made by Kathryn M. Conway in loving memory of Shady Finnegan Conway, TDI, DSRD & also my friends Ann & Anne, who all succumbed to cancer. 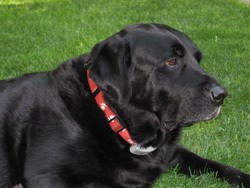 A generous donation was made by Laurey Weiner in memory of Kai, Kobi, Tess, & Boomer. 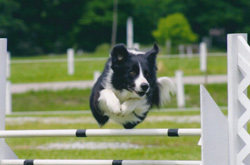 A generous donation was made by Stephanie Case – Products4pets.com from donations collected during agility events, flyball tournaments, and other events in the NJ/PA area. A generous donation was made by Jamie Geller in memory of Puff Lincer. A generous donation was made by Jamie Geller in memory of Kiwi Schwinger. A generous donation was made by Melissa Bellerose in loving memory of Gabby-Strider’s mom. A generous donation was made by Caroline Smith in memory of Brownie Powley. 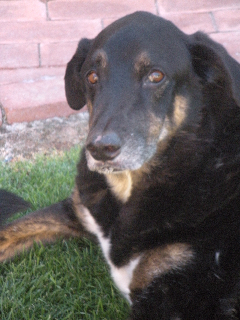 A generous donation was made by Cathy Villarreal in memory of Bailey & Sadie. 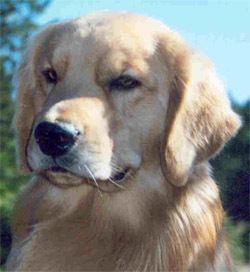 A generous donation was made by Sarita Herndon in memory of Gilbert Herndon who died of hemangiosarcoma in 2008. 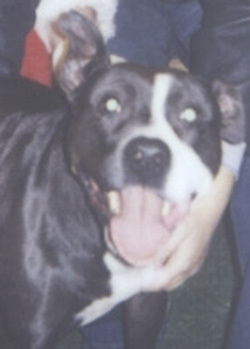 A generous donation was made by Barbara Liszeo in memory of Bucky’s Trouble. A generous donation was made by Kelli Brasher in memory of Grace Brasher. A generous donation was made by Renee Pontau on behalf of Pete & Jadey Pontau. 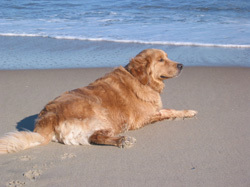 A generous donation was made to the Suni Fund by Pamela Higgins in the fight against hemangiosarcoma in the name of her Golden Retriever Chelsea Higgins. A generous donation was made by Charles Samuels in memory of Rojo Samuels. A generous donation was made by Nancy Bauer in loving memory of our beautiful boy Mackenzie K. Chestnut, who lost his life too soon because of this disease. 11/20/1996 – 6/11/2008. A generous donation was made to the Suni Fund by Yolanda McPeck in memory of Skinny. A generous donation was made by Dorothy Hatch & Mike Fuller in memory of Cassie Hatch-Fuller. A generous donation was made by Yukie Aida in memory of Musashi Hussey. A generous donation was made by Lynn & Andy Hull in memory of Rosie Closson. A generous donation was made by Lisa Dixon in memory of Bama Phelps. A generous donation was made by Barbara Wisniewski in memory of Duffy who was always so happy and full of love for everyone. We were blessed to share almost 13 years with him before he passed away from mast cell cancer last month. He will remain forever in our hearts. May we find a cure so no other dog has to suffer from cancer. 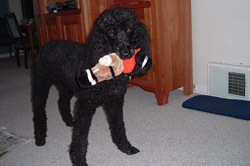 A generous donation was made by Maureen Kilgour in memory of her beloved Sam Kilgour, who passed away from hemangiosarcoma on February 18th, 2010. A generous donation was made by Angela, Rob & Murphy Voigt in memory of Max Fields. A generous donation was made by Katherine Sparks in memory of Henry MacDonald. A generous donation was made by Alice Beene in memory of Lucky Janick. A generous donation was made by Pam & Richard Squires in memory of Maddie Siegel. 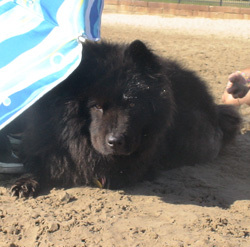 A generous donation was made by Wendy, Kathy, Kim, Roe, Cathy, Carol, Andi, & NancyAnn in memory of Bear Bulger. 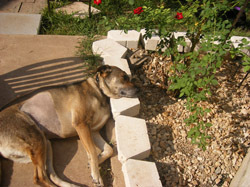 A generous donation was made by Sandra Clamp in memory of her beloved Sage. A generous donation was made by Jennifer Dunn in memory of Abbey Logue. 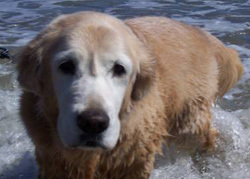 A generous donation was made by Teresa & Michael Curran in memory of Sammy Goldie. A generous donation was made by Jason Glogau in memory of Brutus Smith. A generous donation was made by Diane Dawson in memory of Elvis Swindell. A generous donation was made by Birute Vanatta in memory of Angus Sadauskas. A generous donation was made by ING in memory of Munch. A generous donation was made by Debbie Wonch in memory of Galena Hanson. A generous donation was made by Marie Starnes in memory of Woody Clarke. A generous donation was made by John & Sandy Linson in memory of Luna Blaha. A generous donation was made by Julie Bartz and the staff of DC Ranch Animal Hospital in memory of Charlie Lagreid. A generous donation was made by Jane Holtje in memory of Allie Griffith. A generous donation was made by Vicki King in memory of Dixie Pickering. A generous donation was made by Stefanie Phillips in memory of Roxy Losasso. A generous donation was made by April Gast in loving memory of Duffy Wisniewski. Though he will be missed, he will always be in our hearts. A generous donation was made by Jennifer & Sonny Gonzalez in memory of Zoe Ayubi-Moak. A generous donation was made by Jessica Schiffman in memory of Hercules Crane. He was loved by all and will be dearly missed. May he rest in peace. A generous donation was made by Erica Jenschke in memory of Kona. A generous donation was made by Becky Pega in honor of Gabrielle Flynn’s 1st birthday. A generous donation was made by Julie Lux in memory of Ricky Coltrane Doyle. A generous donation was made by Lori Kubin in honor of Sheryll Plaia’s birthday. A generous donation was made by Lori Kubin in memory of Claire. A generous donation was made by Nora Mikkelsen in honor of Kathy Gilligan’s birthday. A generous donation was made by Betty Muckle in memory of Serendipity Anderson. A generous donation was made by Cheryl Good in honor of her 7 year old Shih Tzu, Shadow, who had lymphoma 3 years ago and is now in remission. A generous donation was made by Tali Almagor in memory of Mozart Hughes. 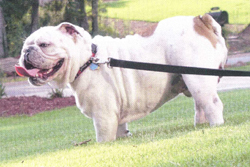 A generous donation was made by Sally McCorkle in memory of Bo. A generous donation was made by Edward Freedman in memory of Frisco Johnson. A generous donation was made by Maureen Morley in memory of Katie Weller. A generous donation was made by Patricia Bonino in memory of Coda Bonino, Patricia’s heart dog, who passed away from hemangiosarcoma at age 13. A generous donation was made by Melissa Melervey in memory of Tally Ho. A generous donation was made by Dr. Julie Bartz & the staff of DC Ranch Animal Hospital in memory of Houdini Smith. A generous donation was made by Bradley Angeletti in memory of Chino Dog. A generous donation was made by LeeAnne McAdam in memory of Petra Hogg. 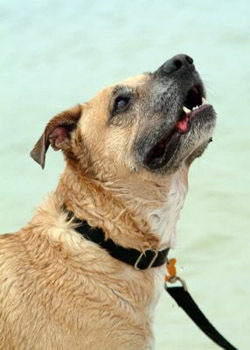 A generous donation was made by Beth Brannock in memory of Rocco. A generous donation was made by Haley Jones in memory of Gus Williford. A generous donation was made by Meredith McKoy in memory of Bridget Rocque. 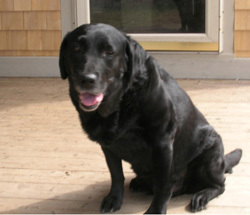 A generous donation was made by Ginny Stevenson in memory of beloved Bo. A generous donation was made by by Barbra Kuml and Splash Dog. A generous donation was made by Don and Karen Smith in memory of Ranger who died of liver cancer in 2006. A generous donation was made to the Suni Fund by Andrea Dexter. A generous donation was made by Melissa Cantrell in memory of Kujo Cantrell. A generous donation was made by the Anderson Family in memory of Perseus Rodriguez. 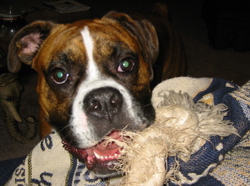 A generous donation was made by Dyann Roth in memory of Zeke. A generous donation was made by Kevin Myers in memory of Justin Lueth. A generous donation was made by the Adelstein family in memory of Lizzy Haimes. A generous donation was made by Katherine England in memory of Sammy England. A generous donation was made by Jerry Mills in memory of Cowie-two years Cowie and we miss you just as much as the day you left. A generous donation was made by Brandy & Wally Bottin in memory of Cassius Huff, one of God’s special gifts. He will greatly be missed by all who knew him. May memories of him provide peace & comfort always. A generous donation was made by Lori Wolbach in memory of Chili Stusalitus. 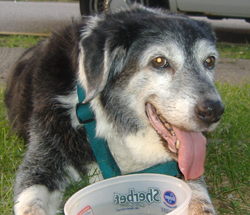 A generous donation was made by Rita’s Ice and Custard in memory of Spunky. 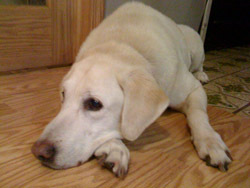 A generous donation was made by Pam Ehrlich in memory of Sam whom she had the joy of knowing him for 11 1/2 years. 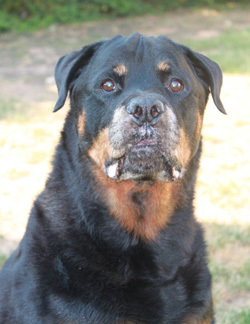 A generous donation was made to the Champ Fund by David Kaplan in memory of Coltrane, the sweetest & most loving Rottie ever. 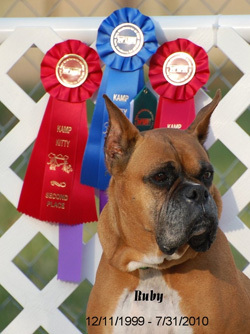 A generous donation was made to the Champ Fund by Susan Bhore in memory of Walt Crawford, who supported the efforts made by the Hampshire County Animal Control. A generous donation was made by Judith Cooper in memory of Niki Cooper. A generous donation was made by Elizabeth McEwan in memory of T. Weed. A generous donation was made by Gwendolyn Krestel in memory of Bree Lerman. A generous donation was made by Tracey, Bryan, & Danica Jester in memory of Stone Schuler. A generous donation was made by Joni & Jeff Todd in memory of sweet Bailey. A generous donation was made by Beck & Bergen Thompson in memory of Oscar. A generous donation was made by Suzanne Nee in memory of Murphy McKinley. A generous donation was made by Emily & Larry, Jamie & Ben, & Jennifer & Dave, in memory of Vegas Collins. A generous donation was made by Kim Bump in memory of Jackson Bump. 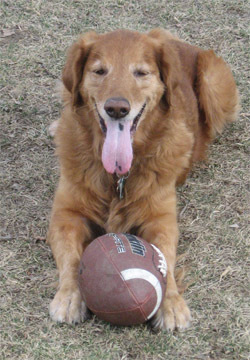 A generous donation was made by BigDogsPorch.com in memory of Abby Grant. A generous donation was made by Christopher & Shelley Bellew in memory of Mattie Prough. A generous donation was made by Jamie Meeks in memory of Munson Meeks. A generous donation was made by Vicki & Jim Duffy in memory of Mac Bonke. A generous donation was made by Elizabeth & Philip Walker in memory of TJ Belote. A generous donation was made by Edward Freedman in memory of Von Trapps Burning Ashes. A generous donation was made by Ann Marie Reed in memory of Maxi Brewer. A generous donation was made by Jennifer Brola in memory of Missy Brola. A generous donation was made by Duane & Debi Mellen in memory of Murphy Miller. A generous donation was made by Amy Moore in memory of Duke Moore. May 11th 2000 – January 28th 2010. A generous donation was made by Mark Hausauer in memory of Mini Logan. A generous donation was made by a friend in loving memory of Miss Binka, who shall smile forever in our hearts. A generous donation was made by Lynn & Andy Hull in memory of Hustle Jenkins. A generous donation was made by Lynn & Andy Hull in memory of Never Hope. A generous donation was made by Anthony Cordwell in memory of Harley Cordwell. We were lucky to have you in our lives, and could not have asked for a more loyal, loving member of our family. We will miss you always. Be a good girl. 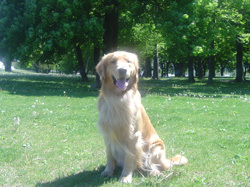 A generous donation was made by William & Jennifer Rawleigh in memory of Cooper Cambra. A generous donation was made by Brandi Benas in memory of Crystal Benas. A generous donation was made by Karen Runstein in memory of Izzy White. A generous donation was made by Karen Thomas in memory of Nickey Barnett. A generous donation was made by Ed Freeman in memory of Shania of Clover Hill. A generous donation was made by Lori Brown in memory of Jessie Hess. A generous donation was made by Richard Jennings in memory of Sammy Jennings. 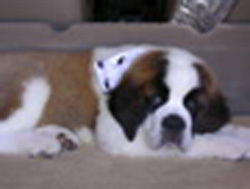 A generous donation was made by Cynthia Carver in memory of Gabriel – March 2002 – January 2008. A generous donation was made by Rhonda Patterson in memory of Jesse Hess. A generous donation was made by Ashley Chenard in memory of Shakespeare Chenard. 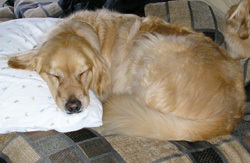 A generous donation was made by Diane Collins in memory of Tanbarks Elliemae. A generous donation was made by Glenn & Patty Brice in honor of the incredibly loyal, gentle, and loving Murphy Hamby – the best dog in the entire world. A generous donation was made by Stacie & Blake Anderson, the Vanovers, & the Wells, in memory of Valentine Gaines. A generous donation was made by Patricia Sorah in memory of Pau Lamy. A generous donation was made by Susan Romano in memory of Kayla Pannullo. A generous donation was made by Ellen Collins in memory of Jessie Hess. A generous donation was made by Dean & Vicki Lipski in memory of Spot Williams. A generous donation was made by Beverly Lewnau in memory of Spot Williams. 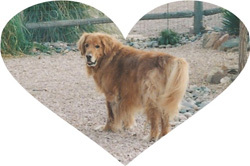 A generous donation was made by Valle Del Sol Golden Retriever Club in memory of Carter, CH Rush Hill’s Next Seattle Slew,and Spot, Zia Salyran X Marks The Spot. A generous donation was made by Dean, Vicki, & Tessie Lipski in memory of Carter Werner. A generous donation was made by Beverly Lewnau in memory of Carter Werner. A generous donation was made by June Tong in memory of Jessie Hess. A generous donation was made by Kim Matthews in memory of Gryffin Simon. A generous donation was made by Amy Lockwood in memory of Mattie Wotring. 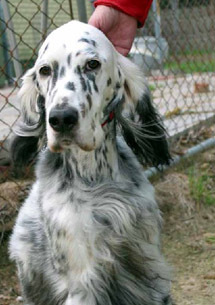 A generous donation was made by Karen Gross in memory of Gryffin Simon-Brush Creek’s Remigi of Landof. A generous donation was made by Pamela Grant in memory of Gryffin Simon. A generous donation was made by Kristine & Carl Bisson in honor of Julie & Kelda Kuja. 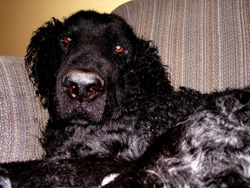 A generous donation was made by Amy Lockwood in memory of the greatest dog in the universe, Austin Lockwood. “Austin was taken far too soon, but will be with me in my heart forever”. A generous donation was made by Helen Parkhill in memory of Taz Elias. A generous donation was made by Melinda Saulson in memory of her Golden daughters, Goldie & Jasmine, who were lost to cancer, and in honor of Rachael, their serial sister who is now fighting lung cancer. A generous donation was made by Susan Horak in memory of Bailey Bunyard. A generous donation was made by Beth Werner in memory of Einna Werner. 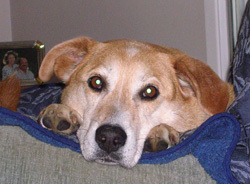 A generous donation was made by Allan Hess in memory of his “bestest buddy” Jessie Hess. You almost beat the cancer. The “J-Man” will be forever missed. A generous donation was made by Margaret Cain in memory of Joshua Largent. A generous donation was made by Steve Knies in memory of Lacey. A generous donation was made by Donna & Rob Ward in memory of Orion Gazeley. A generous donation was made by Angela Collins in memory of Jessie Hess, the wonder dog, who fought an aortic blood clot, inoperable hemangiosarcoma, internal bleeding and finally lost out to histiocystic sarcoma. He was the strongest and smartest dog I ever knew and our family will miss him greatly. A generous donation was made by Barbara Van Raden in memory of Tia & Brody Van Raden. A generous donation was made by Ann Hogg to wish Karen Hough a Happy New Year. A generous donation was made by Raelynn & Gary Gagliardi in memory of HP Gagliardi. 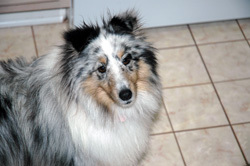 A generous donation was made by Glenna Loges in memory of Celeste Riccio’s beautiful dog Katie. A generous donation was made by Julie Bartz, DVM, and everyone at DC Ranch Animal Hospital in loving memory of Abby Lewandowski. A generous donation was made by Janet Apfel in memory of Gator Hennessy. A generous donation was made by Janet Apfel in memory of Beau Simpson. A generous donation was made by Sherrie Broome and PawParazzi Dog Boutique from a Pet Pictures with Santa fundraiser in memory of Minnie their beloved Minature Bull Terrier 1/1/06 to 10/13/09. A generous donation was made by Donna Frank in memory of Cody Frank. A generous donation was made by Paul Stusalitus in memory of Chili Stusalitus. A generous donation was made by the members and Board of Directors of Valley Agility Sports Team of Turlock, CA in memory of their beloved dogs that they have lost to cancer. 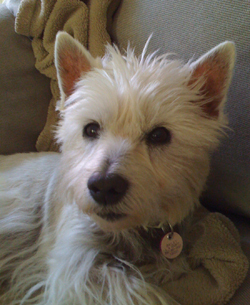 A generous donation was made by Patricia McKeehan in memory of Gracie. A generous donation was made by Vito Piscitello in memory of Sasha Marks. 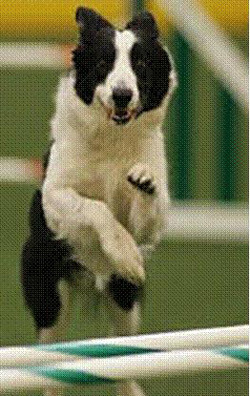 A generous donation was made to the Suni Fund by Ray Ramsay in memory of Rosie (Dixie Rose UDX MX MXJ) – 2/9/1998 -9/25/2009. A generous donation was made by Lisa & Scott Dixon in memory of Tosha Ademac. 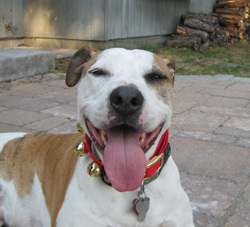 A generous donation was made by Kimberly & Bill Peed in memory of sweet Checkers-Merry Christmas Bonnie. A generous donation was made by Nicholas Haley in honor of Boo & Sammy. 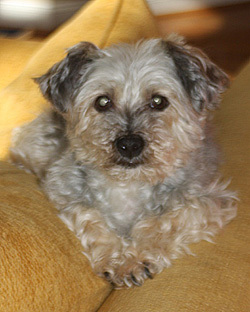 A generous donation was made by Mareike Schmidt in memory of Sparky. 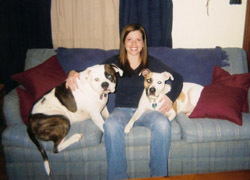 A generous donation was made by Julie Wentz in memory of Abby & Bogey Wentz. A generous donation was made by Sean Nelson in memory of Storm & Hattie Nelson. 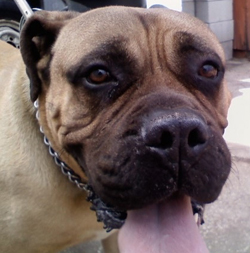 A generous donation was made by Amanda Montay-Farina in memory of Domino Marshall. A generous donation was made by Kishore Sundara-Rajan in memory of Justy Davis. A generous donation was made by Erin Pecsok in memory of Lucy Johnson. A generous donation was made by Kimberly Gantt in memory of Cheyenne Gantt. A generous donation was made by Andrea Leach in memory of Jasper Bulger. A generous donation was made by Kristin & Don Magin in memory of Zach Meury. A generous donation was made by Anna Myroniak in memory of Keegan Wessner. A generous donation was made by Melissa Clayton to wish Daniel P. Riordan a Merry Christmas. A generous donation was made by Ann & Bill Compton in memory of CH. Cindahope Trade Mark. A generous donation was made by Julie Lux in memory of Jester Herig. A generous donation was made by Thomas Overfield in honor of May Zayco. A generous donation was made by David Linkus in the name of Bill & Mary Lou Merkt as a Christmas present. A generous donation was made by Paulina Kucharski in memory of Kuba who gave his family joy & companionship for 13 wonderful years. A generous donation was made by Jeff Parker, in the name of Sherri Rosedahl, in memory of her angel Tiki. 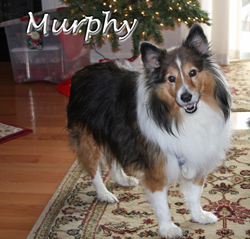 A generous donation was made by Jennifer Smaby in memory of Murphy Brown, BJ & Leo. Forever always in our hearts. A generous donation was made by Erin Hyken in memory of Lily Fordney. A generous donation was made by Yukie Aida in memory of Musashi, a great warrior, who passed away due to hemangiosarcoma, September 1, 2007. 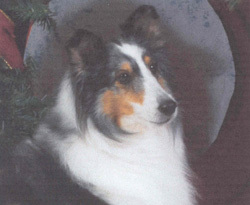 A generous donation was made by Ann Compton in memory of our beloved Sheltie, Ivy Compton, lost to bladder cancer December 10th, 2009. A generous donation was made by Faye Doll in memory of Baby Doll. A generous donation was made by David Taylor in memory of Lizzie. 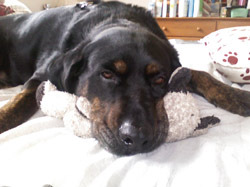 A generous donation was made by Barbara Liszeo in memory of Bucky’s Trouble-always in hearts, especially at Christmas. We miss you Bucky. 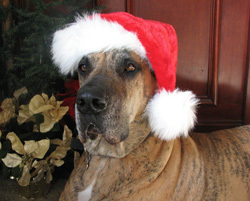 A generous donation was made by Elizabeth Marcucci to wish Cindy, Hope & Cash a Merry Christmas 2009. A generous donation was made by Tina & Rich Pearson in memory of Rachel Pearson. A generous donation was made by Jennifer Wright in memory of Spice. A generous donation was made by Bethany Chapleau in memory of Buttons & Fiona Waldon. A generous donation was made by Nanette Campbell in memory of Poet Selinger. A generous donation was made by Mauricio Britva in memory of Scooter Bonas. A generous donation was made by Helen Plaisted in memory of Cherub of Tuscany. A generous donation was made by Katherine Ferguson in memory of Maggie Hollo. A generous donation was made by Lynn Berry & the Malt boys in memory of Belle Early. A generous donation was made by Douglas Patton in memory of Bo & Shania Patton. 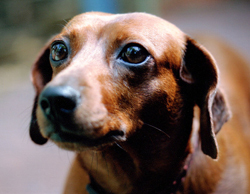 A generous donation was made by Amy Schirmer in memory of Archie “The Brown Menace”. A generous donation was made by Michael Fanning in memory of Max Fanning. A generous donation was made by Rebecca & Matthew Pauli in memory of Winston Means. A generous donation was made by Marie, Mike & Michael Wallace in memory of Truman King. A generous donation was made by Kimberley Umeda in memory of Atlas Kim. A generous donation was made by Robin Early in memory of MACh 5 Triple H Yoda of Red Mountain. A generous donation was made by Carol & Hal Larkin in memory of Max Larkin. A generous donation was made by Joan Ziehl in memory of Tigger & Willem. 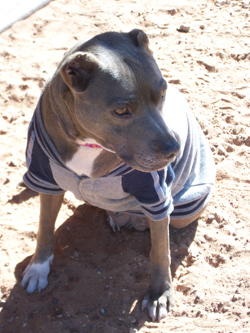 A generous donation was made by Joan Ziehl in memory of Piglet. A generous donation was made by Joan Ziehl wishing Steve & Kathy Lee a Merry Christmas. A generous donation was made by Joan Ziehl wishing Larry & Nancy Carr a Merry Christmas. A generous donation was made by Marisa & Mike Firth in honor of Susan Horak. 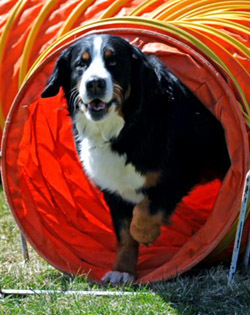 A generous donation was made by Fleet Feet Agility Friends in memory of our beloved Einna. A generous donation was made by Pamela Alcid to honor and to celebrate the best dog in the universe and her birthday-Cecil. A generous donation was made by Nicole Ross in memory of Bruiser Boyer-Smith. A generous donation was made by Nicole Ross in memory of Sarge Harnish. A generous donation was made by Pamela Lack in memory of Foley & Sable Lack. A generous donation was made by Diane Peterson wishing Mr. & Mrs George Noa a Merry Christmas. A generous donation was made by Megan Ward in memory of Momma. A generous donation was made by Rebecca Piazza in memory of Jericho Lack, who will be deeply missed by everyone whose lives he touched as a service dog. A generous donation was made by Marcy Rauch in memory of Bert. 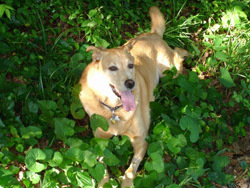 A generous donation was made by Linda and James Stiakakis in memory of Spikey, our good boy. A generous donation was made by Pamela Dunston in memory of Ali Michele Layton. A generous donation was made by Lee & Suzanne Vaughn in honor of Sophie. A generous donation was made by Janet & Ken Arthur in memory of Reggie. A generous donation was made by Renee Pontau in loving memory of Pete & Jadey. A generous donation was made by Jane & Eugene Brockman in memory of Nyers Alden. A generous donation was made by Pamela Alcid in memory of Idgie Mickelson. A generous donation was made by Patricia Milczarek , as a Christmas gift to her mom, Barbara Hammel, who also loved Jasmine very much. A generous donation was made by Renee & Gary Williams in memory of beautiful, sweet, and unforgettable Abby Lyons. A generous donation was made by Bill & Dale in memory of our Maxi. A generous donation was made by Linda Duncan in memory of Minnie Broome. A generous donation was made by Patricia Milczarek in memory of Jasmine Milczarek. A generous donation was made by Eva & Adam Zeno in memory of Darcy Smithson. A generous donation was made by Chris & Holly Fanning, in honor of Richard Fanning’s birthday, and in memory of Max Fanning. 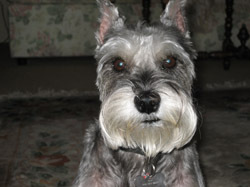 A generous donation was made by Beth & Don Steinbrenner in memory of Barkeley Pheffer. A generous donation was made by Connie Tran in memory of Lelu. A generous donation was made by Elizabeth Weisman in honor of survivor Saba Weisman. A generous donation was made by Elise O’Connor in memory of Luke Aughnay. A generous donation was made by Sam Gubins in memory of Ozzie McClure. A generous donation was made by Kristina Fish in memory of Jake Messbauer. A generous donation was made by Kelli Rangel in memory of Bailey Moller. A generous donation was made by Carol & Paul Mount in memory of Tony D’ Andrea. A generous donation was made by Kirsti Bocskay in memory of Fonzie Keating. A generous donation was made by Jeffrey Salmon in memory of his beloved girls Sophie & Madison, and to the recovery of Lulu. A generous donation was made by Nonnie, Anina, & Dave Garvin in memory of Baby Doll. A generous donation was made by Yvette, Jenny, & Nicole Jarvis in memory of Rosie Sears. 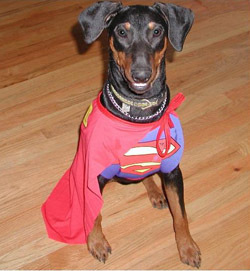 A generous donation was made by John, Kat, & Ellie Lubker in memory of Kaiser Schmidt. A generous donation was made by Diana & Bruce Atfield in memory of Jenny Ford. A generous donation was made by Marya Connell in memory of Bonnie Doherty. A generous donation was made by Leslie Smith in memory of Frisco Harper. A generous donation was made by Kerri Delli Santi in memory of Grace Reed. A generous donation was made by Ann Reed and Catherine Zubrin for the love of Grace. 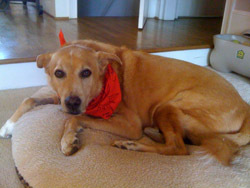 A generous donation was made by Lake Austin Animal Hospital in memory of Maggie Gantt. We know what a special friend Maggie was to you Melanie, we want you to know that Maggie will be missed. A generous donation was made by Michelle, Pete, Mocha & Libbie Latvala in memory of Q Parkvala. A generous donation was made by Joseph Cacciola in memory of Bear Gough. A generous donation was made by Kelly Lucias in memory of Dale Roake who passed away from prostate cancer on 2/5/09. 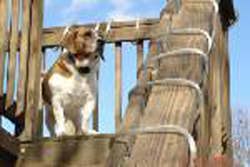 A generous donation was made by Marion Fox in memory of Scooby Doo, MACH 7, a Beagle, who passed away in 2008 due to lymphoma. A generous donation was made by Elizabeth & Troy Bergum in memory of Jax Bergum. A generous donation was made by Pamela Kravetz in memory of Satchmo Beckwith-Papula. 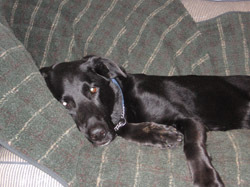 A generous donation was made by Dean & Vicki Lipski, Tessie, Tasha & Ryker, in memory of Juneau 4/25/01 -11/3/09. A generous donation was made by Joseph Wilson in memory and in honor of Lucky Wilson. A generous donation was made by Susan Johnson in memory of Grace Reed. A generous donation was made by Bret Stockton in memory of Champ Stockton. A generous donation was made by Rebecca Alvania in memory of Gracie Williams. A generous donation was made by Stuart Pierson in memory of Belle Dunaway. 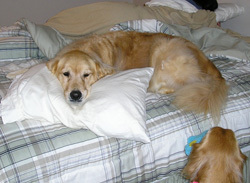 A generous donation was made by Donna Sprouse in memory of Honey. A generous donation was made by Cynthia Leshin in memory with love for Marley. A generous donation was made by Jean and John Hooper in memory of their beloved beagle who died of liver cancer. A generous donation was made to grant DT06PA-001 Therapeutic Inhibition of Angiogenesis in Canine Tumors by Ann Koenig. 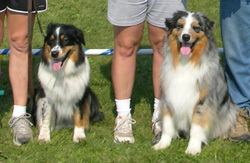 A generous donation was made by Sandi Means in honor of Patricia Barber’s birthday in honor of Blaze, Klaus & Kaiser. A generous donation was made by Pam Schultz in memory of Koda Graversen. A generous donation was made by George Bazinet and Jean Malone in memory of Jonas Christensen. 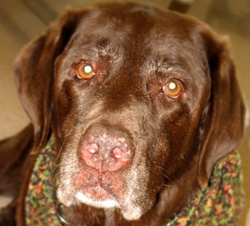 A generous donation was made by Nancy S. Baumer in memory of Jack who dog who recently passed away from Cancer. “I can only hope that someday soon you will be able to find a cure for this dreaded diseases”. A generous donation was made by Maureen & Guy Smith in memory of S.A.M. 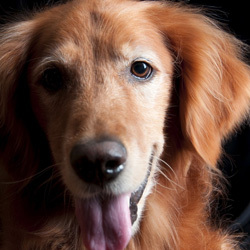 (Secret Agent Man) & Autumn Marie Allison to celebrate the lives of two beautiful Goldens. They were loved by many. A generous donation was made by Holly & Scott McGee in memory of Cassie Israel. A generous donation was made by Emily Sevigny in memory of Valentine. 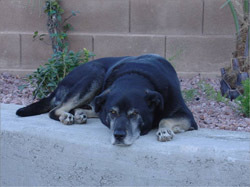 A generous donation was made by Teresa Rodney in memory of “Smokey” Rodney. A generous donation was made by Dr. Julie Bartz & everyone at DC Ranch Animal Hospital in memory of Sassa Trunkett. A generous donation was made by Dr. Julie Bartz & everyone at DC Ranch Animal Hospital in memory of Angel Berger. A generous donation was made by Gary & Susan Allison in memory of Int. Ch. Honorcornerstone Daddy’s Girl, RN, CGC, “Autumn Marie”. A generous donation was made by Sharon Taylor in honor of KC, who was just diagnosed with cancer. 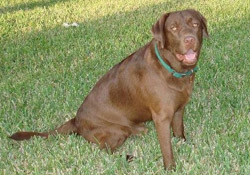 A generous donation was made by Dr. Julie Bartz & everyone at DC Ranch Animal Hospital in memory of Bacco Perlmutter. A generous donation was made by Christopher Bethancourt in memory of Cypress Shimek. A generous donation was made by Dorothy McGrath in memory of Maddie Drubner. A generous donation was made by JoAnn Kirk in memory of Sarah Fabian, a very sweet girl who had a wonderful, loved life. A generous donation was made by Jim Rudolf in memory of Able Baby Stauff. A generous donation was made by Randi Cohen in memory of Vegas Cohen. 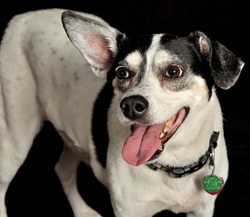 A generous donation was made by Betsey Freedman in memory of Cha Cha. A generous donation was made by Rebecca Pauli in honor of Andrea Dexter’s Seminar. A generous donation was made by Win, Frank, & Hoss Hemsley in memory of Bille deBeau. A generous donation was made by Carol Higdon in memory of Reggie Lawrence. A generous donation was made by Mary Ann Doyle in memory of Victoria Lee Lux. A generous donation was made by Kenneth Sklar in memory of Maddie Drubner. A generous donation was made by Paulette Galvin in memory of Maddie Drubner. A generous donation was made by Shelia Yerman in memory of Sammy O’Brien. A generous donation was made by Catherine Fox in memory of Maddie Drubner. A generous donation was made by John Connors in memory of Teddy Connors. A generous donation was made by Lisa Kurth in memory of Sophie McCoy. A generous donation was made by Carrie Deaton in memory of Brisby Leone. A generous donation was made by Janet Skinner in memory of Billie DeBeau-Andersen. A generous donation was made by Mauricio Britva in memory of Dempsey Bloomer. A generous donation was made by many loving friends of the Mary Ellen Foye Foreign Language Association GA in memory of Captain Uriz. A generous donation was made by Debi Kipping in memory of CH Catch’s Rose of Starry Knight. 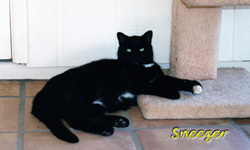 A generous donation was made by Sue Nee & Judy Sutor in memory of Sneezer Dittmer. A generous donation was made by David Strength in memory of Grace Brasher. A generous donation was made by Lisa Snider in honor of her husband David’s birthday. Happy Birthday wishes David!! A generous donation was made by Laura ONeil in memory of Bailey Hammel. A generous donation was made by Diana & Bruce Atfield in memory of Ruby Atfield. A generous donation was made by Diana & Bruce Atfield in memory of Dazzle Kidwiler. A generous donation was made by Michael Lieberman in memory of Brisby Leone. A generous donation was made by Sylvia and James Walton in memory of Zoe Chalstrom who passed away on July 18, 2010. A generous donation was made by Darlene Paul in memory of Rufus Collins. A generous donation was made by Osalyn Houser in memory of George Houser-we love and miss you everyday Georgie. You were our precious boy and will never ever be forgotten. A generous donation was made by Craig Takamiya in memory of Roxy Maetani. A generous donation was made by Janey Parker in memory of Willie Rhodes. A generous donation was made by Matthew Arthurton to wish Bran Bran a happy birthday. A generous donation was made by Dr. Julie Bartz & everyone at DC Ranch Animal Hospital in memory of Hans O’Keefe. A generous donation was made by Dr. Julie Bartz & everyone at DC Ranch Animal Hospital in memory of Pepper Diggs. A generous donation was made by Dr. Julie Bartz & everyone at DC Ranch Animal Hospital in memory of Junior Witter. A generous donation was made by Dr. Julie Bartz & everyone at DC Ranch Animal Hospital in memory of Annie Rutherford. A generous donation was made by Jamie Wilson in memory of Jax Osheim. A generous donation was made by Sterling Ten in memory of Rocky Ten. A generous donation was made by Hillary Reichert in memory of Rocky Coddingham. A generous donation was made by Chris Rittenhouse in memory of Sammy & Nita. A generous donation was made by Susan Smith in honor of Kim Russell-Shaw’s birthday. Happy Birthday wishes Kim!! A generous donation was made by Nesryn Escandar in memory of Bella Escandar. A generous donation was made by Vicki Parker in honor of Dr. Joshua L. Lachowicz. A generous donation was made by Calista Korzelius from money collected for her 12th birthday. Happy 12th Birthday wishes Calista!! A generous donation was made by David Wood in memory of Ryman Linn. A generous donation was made by Debra Sabatini in memory of Scubba Staub. A generous donation was made by Joseph Agiato in memory of Piper Tighe. A generous donation was made by Jane Dornbush in memory of Rosie Cartolano. A generous donation was made by Dr. Julie Bartz & everyone at DC Ranch Animal Hospital in memory of Holly Skolnick. A generous donation was made by Dr. Julie Bartz & everyone at DC Ranch Animal Hospital in memory of Bubba Mathews. A generous donation was made by Dr. Julie Bartz & everyone at DC Ranch Animal Hospital in memory of Papi Mazer. A generous donation was made to the SUNI Fund from Ian Watt’s judging fees from the Fiona Cup Final. 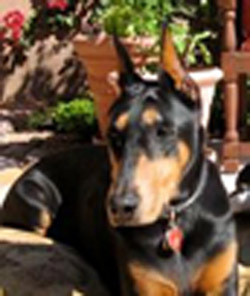 A generous donation was made by Constance Stutmann in loving memory of my “boy’ Luke. A generous donation was made by Mary Ann and Billy Doyle in memory of our beloved Boxers Hollie Anne Doyle, Lucie Marie Doyle and Ricky Coltrane Doyle who will remain in our hearts forever. We love you and miss you. A generous donation was made by Dawn Wladyka in loving memory of Virgil Wladyka, 3/11/2001 – 6/1/2010. A generous donation was made by Robin Hamlin in memory of Blue Racine. A generous donation was made by Mary Hickel in memory of Lucy Hickel who passed away July 17th, 2010. A generous donation was made by Jonathan Monetti in memory of Olive Robinson. A generous donation was made by Susan Flanagan in memory of Jobie Flanagan. In the loving and unforgettable memory of Belle Pepper, a generous donation has been made by Roslynn Hill to help find a cure for canine cancer. We love you our beautiful Belle Pepper. You are always in our hearts. 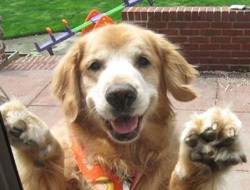 A generous donation was made by Cassie Osborne in memory of Bear Stevens. A generous donation was made by Donna Ward in memory of Caio Westbrook. 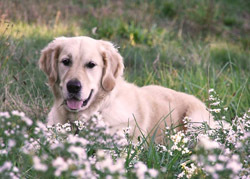 A generous donation was made by Dr. Julie Bartz & everyone at DC Ranch Animal Hospital in memory of Meisje Sundermeier. 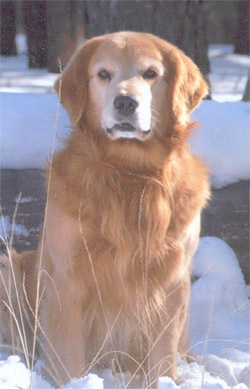 A generous donation was made to Grant DM06CO-002 by Carrie Sensabaugh in memory of her two Golden Retrievers. A generous donation was made by Joan Tily in honor of Lillian E. Duda, VMD, Dipl. 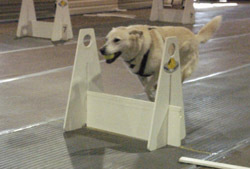 ACVR, for her great passion in caring for Barkley. A generous donation was made by Suzanne White in memory of Cosette Arthur. A generous donation was made by Diane Castle in memory of Axel Rodier. A generous donation was made by Barbara Miresse in memory of Lady Horcher. A generous donation was made by Shannon Johnson in memory of Montserrat Phillips-Hood. A generous donation was made by Ashley Brymer in memory of Dakota Avery. A generous donation was made by Audrey Wang in loving memory of Nassau-winner of the best smile award. A generous donation was made by Betty Livingston in memory of Bowie Harrington. A generous donation was made by Christina Hagan in memory of Charley Hagan. 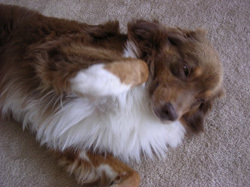 A generous donation was made by Jeanette Parsons in memory of Abby Lynn Bernhardt. A generous donation was made by Michael Zigmond in memory of Swish. A generous donation was made by Terry Fisk in memory of Firecreek’s Outta This World – “Maverick”. A generous donation was made by John Schankin in memory of Isaac. A generous donation was made by Eric Hillmann in memory of TC Fazio. 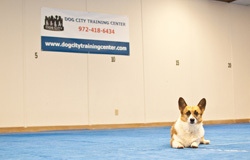 A generous donation was made by Lynn Cutter in memory of Jelly. A generous donation was made by Kelly Hagstrand in memory of Jordie. A generous donation was made by Shirley Spinelli & Julie Buchalter in memory of Eiryt. 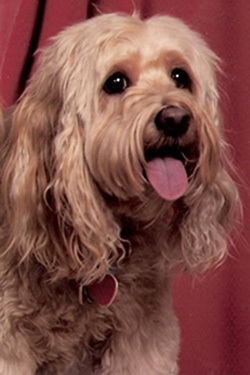 A generous donation was made by Lillian Burke in memory of Lucky Bricker. A generous donation was made by Russ & Kerri Ingram in memory of Peppy Ingram. 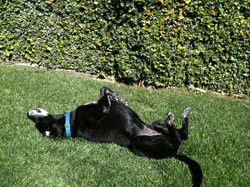 A generous donation was made by South Bay Critter Sitter in memory of Bailey Branch. A generous donation was made by Heather Schapp in memory of Gabby. A generous donation was made by Matthew Arthurton in memory of Brandon Plowman. A generous donation was made by Christine Coe in memory of Grace. A generous donation was made by Ann Riddle in memory of Joker Federer. 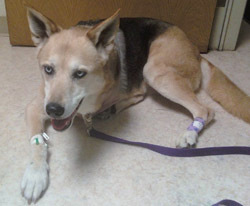 A generous donation was made by Dr. Julie Bartz and everyone at DC Ranch Animal Hospital in memory of Liebe Kamp. A generous donation was made by Elizabeth Rainone in memory of Haley Davies. A generous donation was made by Catherine Kopko in memory of Brayden Kopko. A generous donation was made by Charity Byrnes in honor of Greg Brynes birthday. Happy Birthday Greg! A generous donation was made by Charity Byrnes in memory of Regis Byrnes “RB”. A generous donation was made by Lisa Morgan in memory of Carly Pedigo. A generous donation was made by Marie Coughlin in memory of Nina Cicero. A generous donation was made by Judith Remy Leder in memory of Moose Weaver Nowak. A generous donation was made to the SUNI Fund by Teresa Rodney. A generous donation was made by Christina Livanos in memory of Roxy Livanos. A generous donation was made by Dr. Julie Bartz & everyone at DC Ranch Animal Hospital in memory of Cartia Webb. A generous donation was made by Dr. Julie Bartz & everyone at DC Ranch Animal Hospital in memory of Gracie Forkner. A generous donation was made by Jamie Forsyth in memory of Bear Myers. A generous donation was made by Matthew Lindinsky in memory of Patrick Sebok. A generous donation was made by Robert Sundback in memory of Nina Cicero. A generous donation was made by Carl Kienle in memory of Chase Hennessy. A generous donation was made by the Brummond Family in memory of Regis Byrnes “RB”. A generous donation was made by Dr. Julie Bartz and everyone at DC Ranch Animal Hospital in memory of Cody Chadwick. A generous donation was made by Dr. Julie Bartz and everyone at DC Ranch Animal Hospital in memory of Danee Girl Daurio. A generous donation was made by Carol Crouse in memory of Miles Viglione. A generous donation was made by Rebekah Pless in memory of Ella Smith. A generous donation was made by Tonya Weiper in memory of Kenai and in honor of RPVC Beth, Maria & Linda. We are truly grateful for the care and compassion that you gave to Kenai, as well as our family, during this very difficult time. 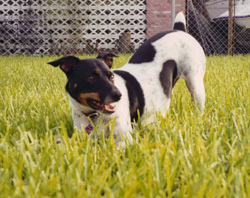 A generous donation was made by Colette & Ed Sparks in memory of Spark’s Onyx of Bailey Island, CD, JH, WC, CGC. A generous donation was made by Ed Freeman in memoryof Bear Nally. A generous donation was made by Donna Salisbury in memory of Groovey Klein. A generous donation was made by Melissa Loschiavo in honor of Virginia Becaccio. A generous donation was made by Arien Muzacz in memory of Patchie Pagen. 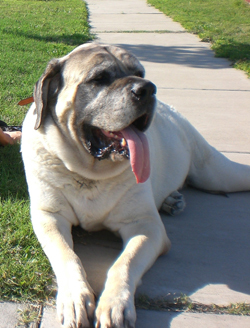 A generous donation was made by Dr. Julie Bartz and everyone at DC Ranch Animal Hospital in memory of Sydney Vegors. A generous donation was made by Meredith McKoy in memory of Jo Engel, who will be remembered as an amazing friend and pet owner. She will be truly missed by all the hearts she warmed. Thank you so much for sharing her loving glow with all of us. A generous donation was made by Diane Malone in honor of Smokey Siefkin and to congratulate Kelly Siefkin as she completes her Master’s degree. Way to go! A generous donation was made by Jamie Geller in memory of Ruby Solimine. A generous donation was made by Anne Lash to honor Angela Lundberg. A generous donation was made by Karen MacDonald in memory of Bailey MacDonald. A beautiful angel who graced our lives with love and compassion. You are truly missed. A generous donation was made by Karen MacDonald in memory of Cindy Lindberg. A generous donation was made by Amy Schupska in memory of Sacket Groves. A generous donation was made by Michael Norsk in memory of Mr. 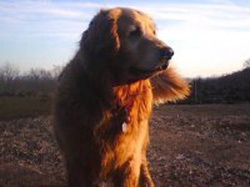 Handsome, who passed away in September 2008 from hemangiosarcoma. We would like to continue to honor him, we will never forget him. Hopefully there will be a cure soon-we surely had no warning, just a terrible way to lose our nine year old boy. A generous donation was made by Marc Berman in memory of Reggie Marino. A generous donation was made by Kaylie Hopper in memory of Raider Cueva. A generous donation was made by Mary K. Karam in memory of Louie Lassman. A generous donation was made by Nancy Klaffky to honor Gail Flynn, RCP, CPFT, Grief Counselor, for presenting important programs on companion animal loss to members and guests of the Veterinary Health Care Team of Connecticut (VHCT2). Thank you, Gail! A generous donation was made by Melinda Bennett in memory of Cleopatra Parker. A generous donation was made in memory of Gypsy McCabe from Kristine & Carl Bisson. Our thoughts are with you.